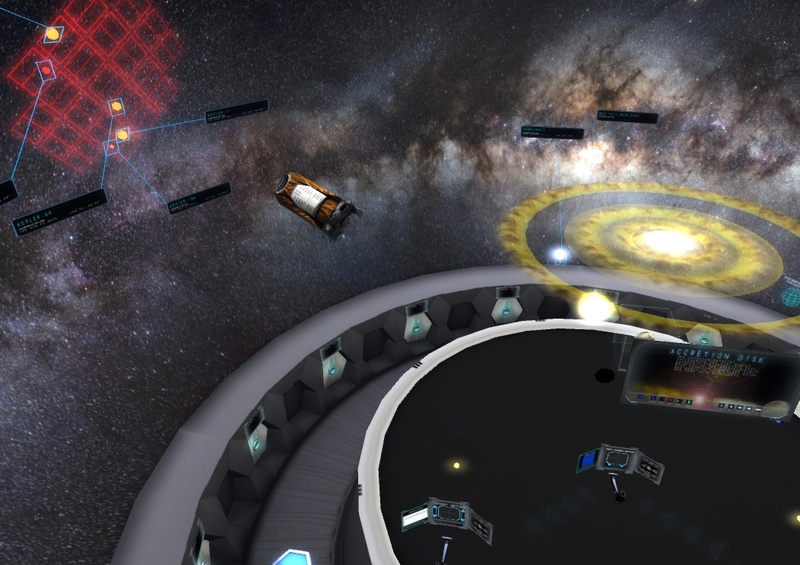 The vMAX virtual world offers students immersive 3D simulations of exoplanet investigation, and has been transformed into an experience for museum guests. You can explore the vMAX virtual world in the Feathers to the Stars gallery, which takes you on the journey of flight, from feathered dinosaurs to space travel. vMAX represents the search for the greatest possible destination for future spaceflight—an Earth-like planet in our galaxy. Museum goers can experience 3D simulations of real exoplanet data, and simulations of how we detect and investigate these distant planets.